Can you grow it from store bought. Rice from store is already threshed and mostly lifeless although some people have mentioned growing them from brown rice (but rice is often heat dried). I buy seeds from kitazawaseeds and southern exposure seed exchange. It's not that hard. Look for my big thread in Permaculture forum. Actualy I believe there are two photo progressions from different years, but the earlier one goes into some detail about my growing process, and soil has contributed with his upland growing methods. check out this thread, no pics but has info on dry cropping rice. 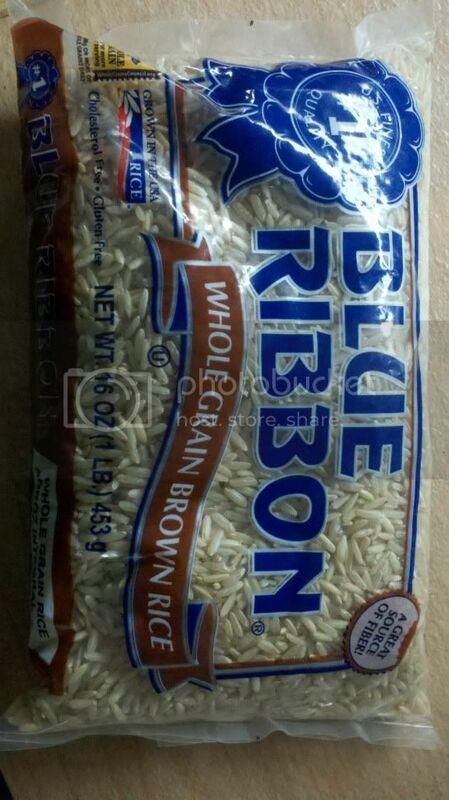 and i did use rice seed from the store, it was organic whole grain short brown rice. if you want more info on how give me a pm. Last edited by soil on Wed Mar 14, 2012 9:20 pm, edited 1 time in total. I'm trying rice this year. I ordered black madras seeds from Park Seeds. I planted them a few days ago and they have already germinated and shot up about an inch. Plan to use them as thriller plants. Two of my rain barrels are made so that plants can be planted in the tops of them. Someone has a thread on here with rice growing at the edge of their pond with goldfish. I forget who it is. seriously look up SRI farming, aka system of rice intensification farming. when the time comes ill do a tutorial on how to sprout store rice for growing. Wonder if this would work. take a 1/4 cup of it, wash it, then put it in a jar with fresh water. replace water daily and wash the rice when you replace the water. if it sprouts in say 3-5 days you can grow it. if not find another rice, preferably organic and the kind of rice you want. it must be whole grain. soil wrote: seriously look up SRI farming, aka system of rice intensification farming. Looked it up and started reading last night -- looks intriguing! ...now I want to try leaving some rice in a jar just to see if they grow! it says whole grain but since its not organic it may be heat treated as mentioned earlier or old or just not viable. sprouting will be the test. if you just leave the rice in water it will ferment, you need to change the water at least daily. preferably twice a day. im trying to start out with SRI but id like to move to a fukuoka based system one day. I sprout seeds and grains just like Soil instructs. But I do it to eat not to grow. I've done things like wheat, rye, quinoa, barley, sunflower, mung beans, chickpeas etc. I've done walnuts, almonds, and cashews too. But I don;t think they are raw so they don't sprout. But it is always better to soak them before eating anyway makes it better for digestion. Basically put some seeds/grains in a bowl and fill it with water. Let it soak for several hours. Some require different soak times. Some could soak for 2 hours while others should be like 12 hours. Anyway, after the soak you drain it. Then several times a day (atleast twice), rinse and drain the seeds/grains. Do this for a few days and they will start sprouting. Some sprout really quick and some can take a few days. Some people from a raw food forum soak rice to eat. And they use wild rice and they get those to sprout. There are charts online where you can see what soak and sprout times are for certain seeds/grains. Rice Grass. anyone planted rice grass?